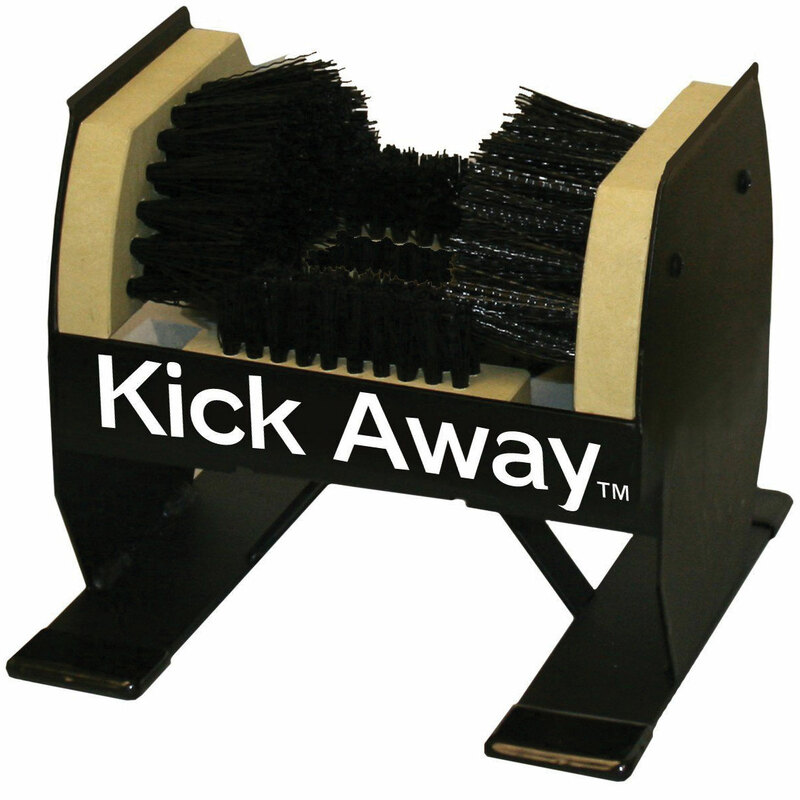 The Kick Away boot brush removes even the toughest mud and grime with its commercial grade, extra-stiff nylon bristles. These bristles are located on each side as well as the bottom. 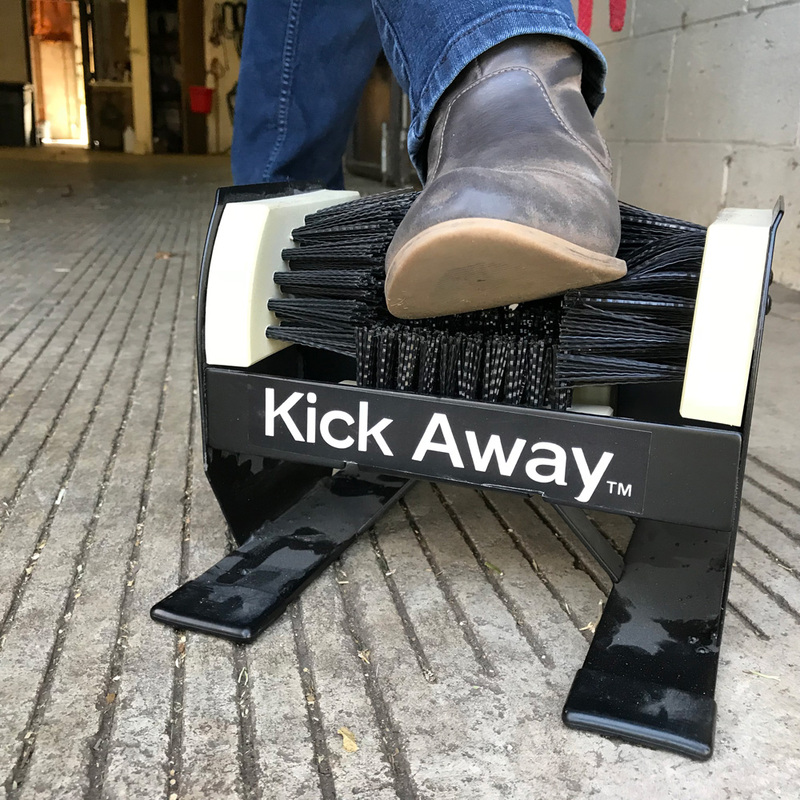 This boot brush will provide you with years of service! Remove even the toughest mud and grime with the built-in scrapers on the top of each side. The poly brush mounts that hold the nylon bristles won't corrode, rust, rot, crack or weather like wooden mounts. Mounting screws and anchors are included. Material: Durable Powder-Coat Finish - Will NEVER Rust, Rot, or Corrode.